Now you can unsend an email!! No, for real. 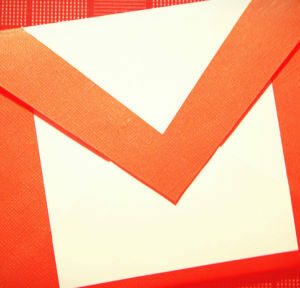 Gmail has rolled out an undo send feature that has been only experimental until now. You can’t change your mind for long, but if you’ve ever been filled with immediate regret about hitting “send,” this will solve that problem. If you’re in Gmail, go up to the cog icon and select “settings.” Under the “undo send” section you can select whether you want 5, 10, 20, or 30 second windows to pull your email back. After 31 seconds? Well, Gmail can only do so much to help you out. If you’ve had a hankering for Amazon’s voice-activated assistant/speaker, now’s your chance. For $180 anyone can preorder the device and it’ll ship out July 14. With it you can listen to music and control other connected devices…and the options for what you can control is likely to grow soon. This week Amazon also announced they’re opening up the Echo’s Alexa platform to developers. It should mean more products will soon be part of the Echo “echosystem” (ha! Couldn’t resist the pun, sorry). As Engadget said, the Treasure Truck is the “equivalent of a neighborhood ice cream truck for killer deals.” It’s going to roam Seattle neighborhoods this weekend with things like paddle boards, knives, and steaks for really great prices. You can find out what’s on the Treasure Truck using the Amazon Mobile app. You can order it there and pick it up, or, just head to the truck and do some shopping. Here’s hoping they bring this idea to other cities…including Madison, Wis. It sure seems like an idea do-able in a variety of areas! This isn’t a hoax—or at least it doesn’t look it. Lexus posted this video this week and it sure looks legit…but keep in mind that the video was shot at a skateboard park that has metal under the concrete. Thus, it may really hover…but it won’t do so everywhere. Marty McFly would be proud, and Wired explains how it likely works. Marissa Meyer announced this week that the next Java update will also change your default browser to Yahoo! You will have the option to opt-out, but if you forget to do so, you’ll have to make the switch to your preferred browser on your own. Google did this in the past with an Adobe Flash update last fall, so it’s not like this idea hasn’t been tried before. But, watch it next time you go to update your machine—about 90% of all computers use Java, so odds are you’ll be affected by Yahoo!’s move. The Lung-on-a-Chip is a very elegant, new solution that substitutes technology for animal test subjects. It’s not fancy looking, but it actually contains human cells arranged in a way to mimic how a lung works (if you’d want to watch a video about how it works, click here—it’s pretty cool). The design was so elegant, a senior curator at the Museum of Modern Art said it is, “ the epitome of design innovation” in part due to its “pioneering application.” Can’t argue with that. You may be hoping that Google will come out with its own health and fitness tracker…and it might happen…for medical use. Bloomberg reports that Google is working on a health-tracking wristband, but it’ll only be for clinical trials and drug tests. The band will be able to give researchers and doctors continuous data about how patients are doing. It’s being developed by the Google X research division, but Bloomberg doesn’t report when it might be available. Testers of the second beta version of Apple’s new iOS 9 have found a new feature that is sure to help out everyone with a full iPad or iPhone to install the update—if you don’t have enough room, it’ll make some on a temporary basis. Your device will delete some apps to make some space…and then reinstall them when the update is complete. This should make my children, who have totally full iDevices, quite happy. Did you know, when the cell phone was invented, the creator from Nokia actually used it to call his arch-rival at AT&T to brag about it? That’s the story, according to the Nokia inventor Marty Cooper. In the video below he talks about how that conversation happened and shares his vision for the mobile technology of the future. It’s clear he’s not doing being a visionary yet!